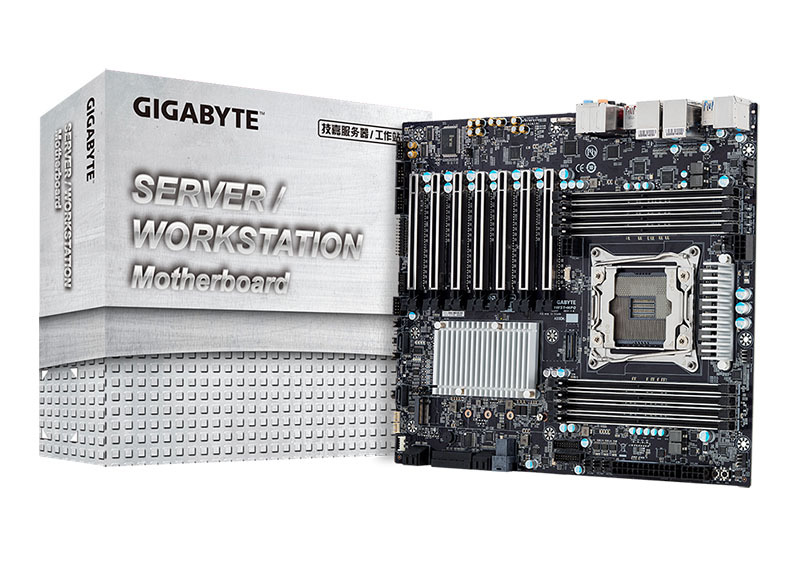 Following the Intel Xeon W Workstation Processor launch today, Gigabyte has announced a new Xeon W based motherboard. 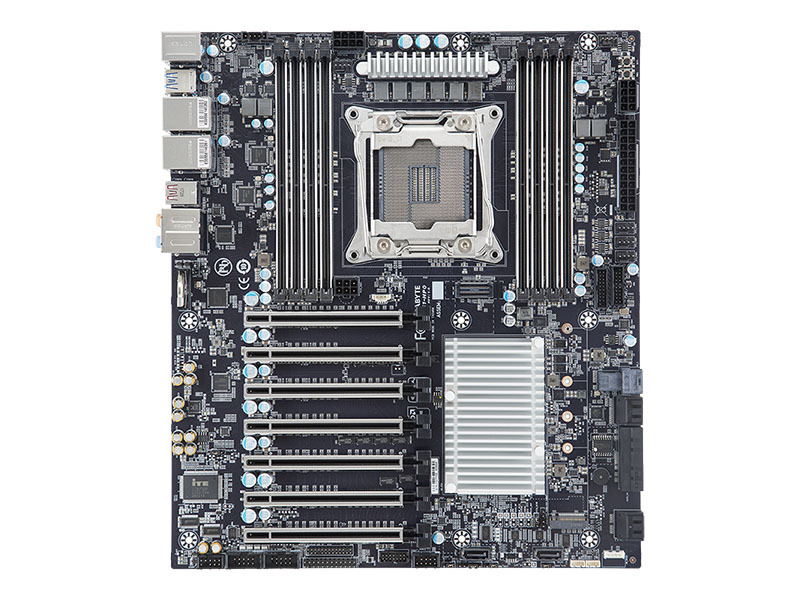 The Gigabyte MW51-HP0 harkens back to some of the high-end C602, X79, C612 and X99 motherboard designs with ultra high-end expandability and features. The motherboard takes advantage of the full Intel Xeon W capabilities as it has a LGA 2066 socket along with four DDR4 DIMM channels at 2 DPC with eight DDR4 slots. Gigabyte added an additional SATA III controller to bring the SATA III port count back up to 10. There are also M.2 and U.2 (SFF-8643) drive connections on the motherboard for NVMe SSDs. Notably, there are seven PCIe x16 slots where Gigabyte is able to use PLX PCIe switches to power the seven PCIe x16 slots. Beyond the storage and add-in card expandability, Gigabyte also includes dual Intel i210 1GbE LAN ports, USB 3.0 and USB 3.1 ports (Type A and Type C). 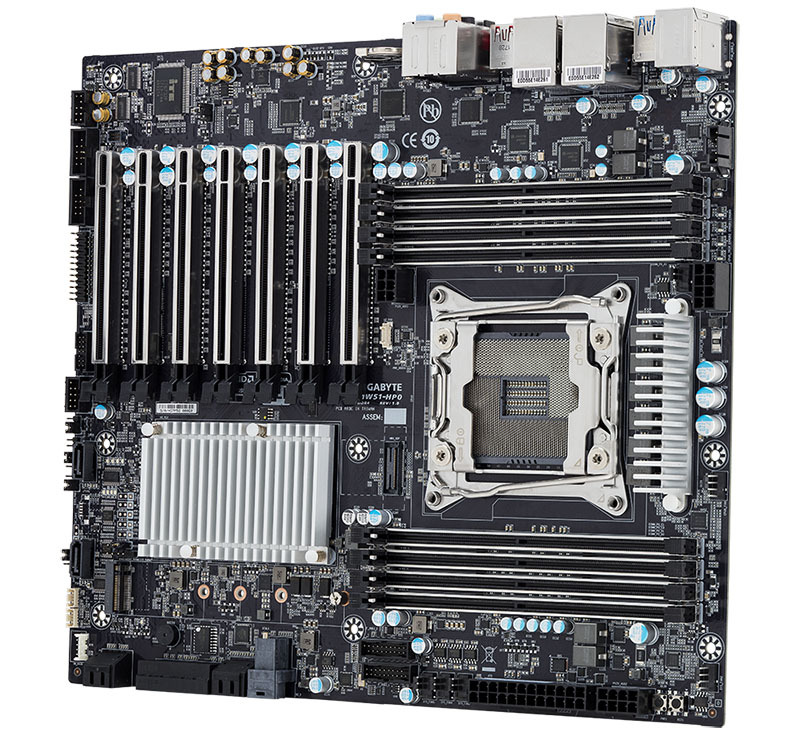 If you are looking for a single-socket high-end workstation motherboard, this is it. In this generation, the professional workstation Xeon parts have significantly better capabilities than the consumer high-end desktop parts. We will be testing the Intel Xeon W-2100 series in this motherboard as soon as we get a chance. The motherboard takes advantage of the full Intel Xeon W capabilities as it has a LGA 2066 socket along with four DDR4 DIMM slots. So no 10Gbit on the W processors and they did not include a 10Gbit chip/controller/NIC on the motherboard, 1Gbit on a “high-end” motherboard? 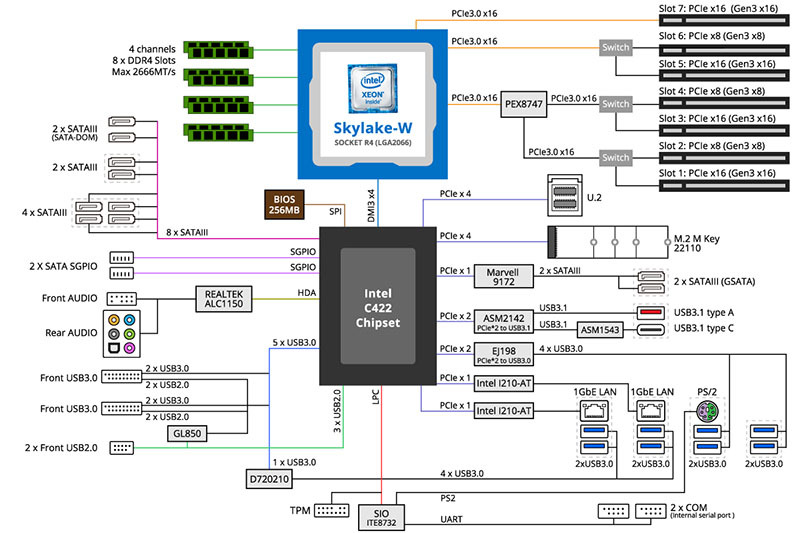 That alone + the other features i would call this an entry level motherboard. 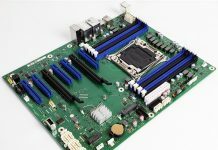 This http://b2b.gigabyte.com/Server-Motherboard/MZ31-AR0-rev-10#ov and an EPYC 7351P,7401P or 7501P are the better choice when you need (dual) 10 Gbit, lots of PCIe-lanes, memory (bandwidth) and a lot of compute power for the same or less money. Nice marketing “4 x Full speed PCIe Gen3 x16 slots; total 7 x expansion PCIe x16 slots” with only 48 PCIe-lanes from the Skylake-W processor. EPYC has 128 PCIe-lanes of which 88 are usable for expansion on the mentioned MB without the need of an PEX8747 multiplexer. I’d like to know what separates Gigabyte, Asus, Asrok, Supermicro. They all seem to be the same. @Johnn: Asrock is a fork of Asus, for the rest they are different companies at least to my knowledge. Supermicro has it’s focus on (high-end) workstations and servers, the others deliver what they can. I like fast CPU’s but no matter how fast, I need RAM for data analysis. What is the max. amount of RAM that the mobo can support?